Do you ever get home after work and have zero desire to cook but don't feel like eating cereal or getting take out? We all have days like this. Don't eat cereal!!! 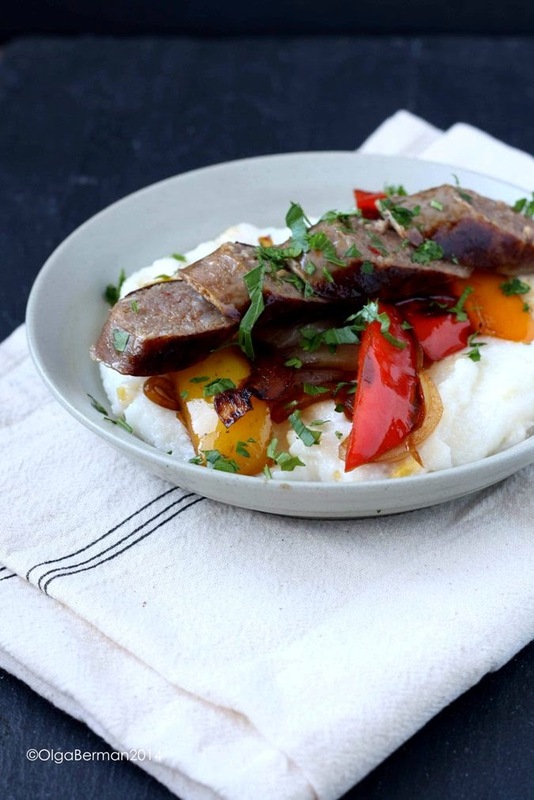 Instead, make this Easy Weekday Dinner: Italian Sausages with Peppers over Cheesy Polenta. This is not really a recipe exactly, but more of a guideline for putting together a meal that doesn't take too much time or prep but results in a delicious plate of food perfect for a cold winter night. Do not use frozen peppers: buy fresh ones and slice them. If you don't know how to properly slice vegetables and happen to live in DC area, take a knife skills class from me! If you don't have fresh corn, use frozen corn. 1. In a skillet heat a bit of oil and brown up the sausages for 5-10 minutes. Then very carefully add enough water to cover the bottom of the skillet and let the sausages simmer for 15 minutes with a lid on. 2. After the sausages are cooked, remove them from the skillet, discard the liquid and add a bit of oil. Sauté peppers and onions until they are golden brown. Add the sausages back into the skillet. 3. Meanwhile, cook polenta in a pot with a heavy bottom. I typically use 1:4 ratio: one part polenta, 4 parts water. Season the polenta with salt. 4. Once polenta is cooked, add fresh or defrosted corn and cheese. 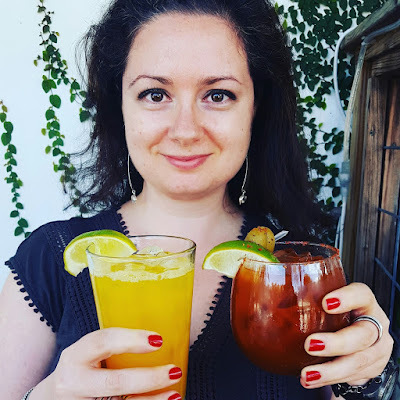 Combine and add a few splashes of half & half. 5. 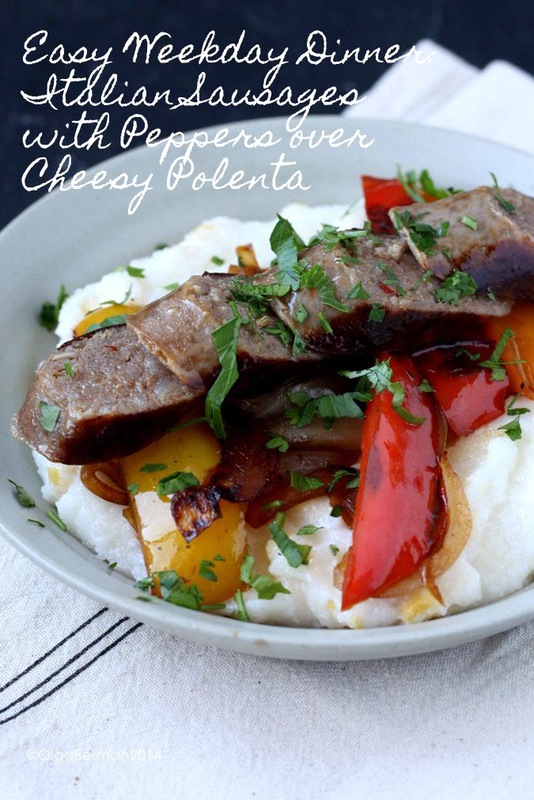 Slice the sausage and serve with peppers and onions over cheesy polenta with corn. Top with fresh cilantro. 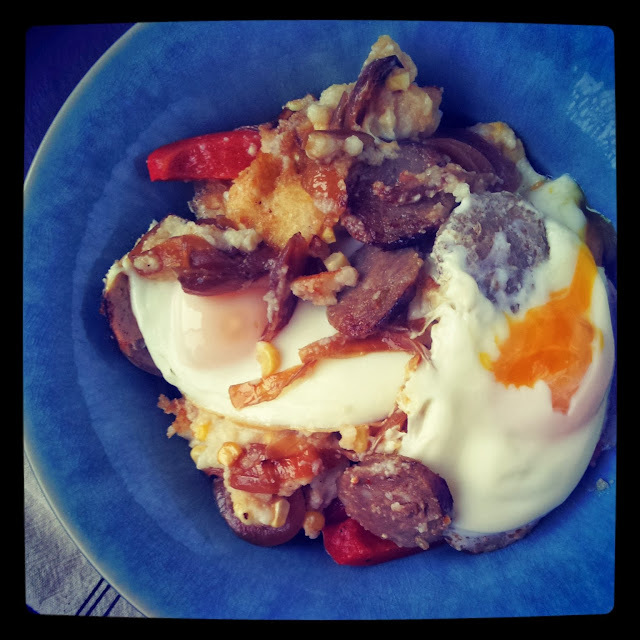 You can also reheat the leftovers and top them with a poached or fried egg for a filling breakfast! What's your quick go to weeknight dinner? This is my ideal weeknight meal. Looks so good! 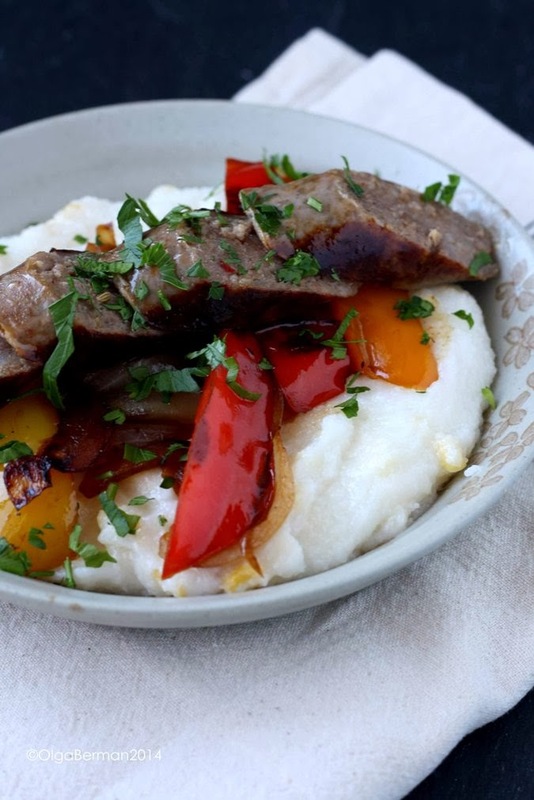 Swap-out ideas: Use grits instead of polenta; Use smoked kielbasa instead of sausage.